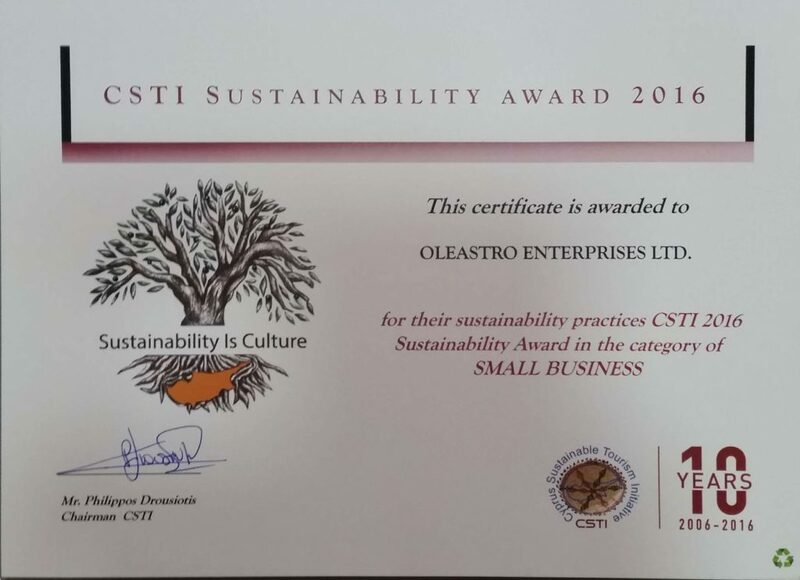 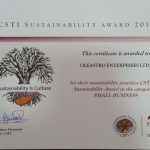 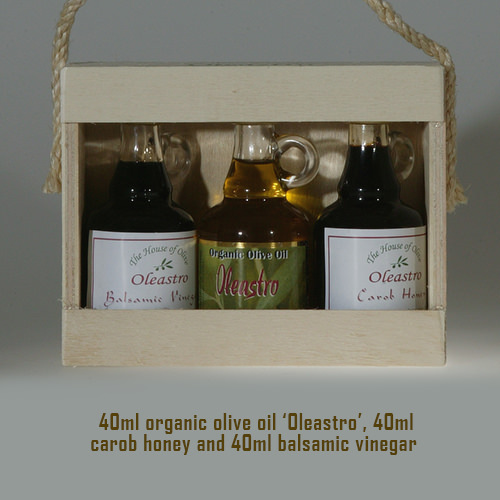 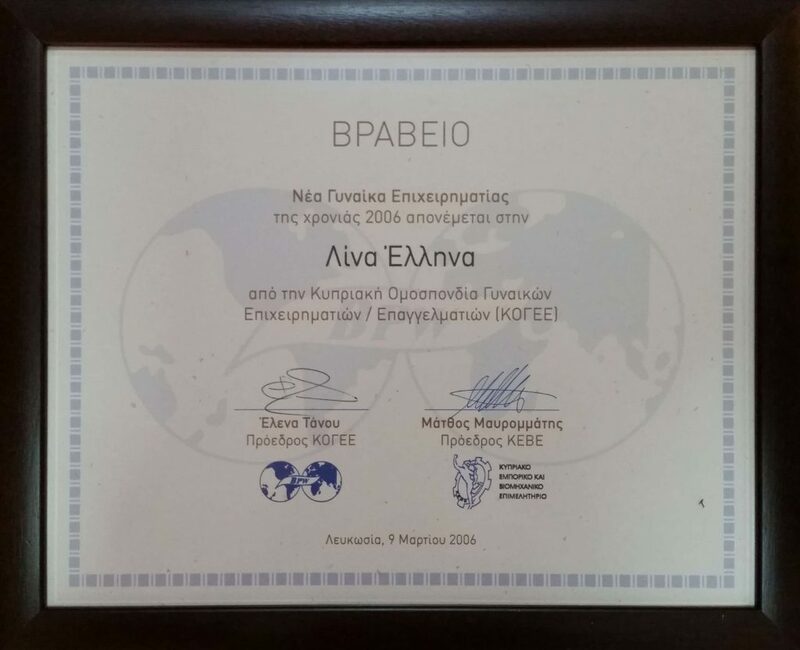 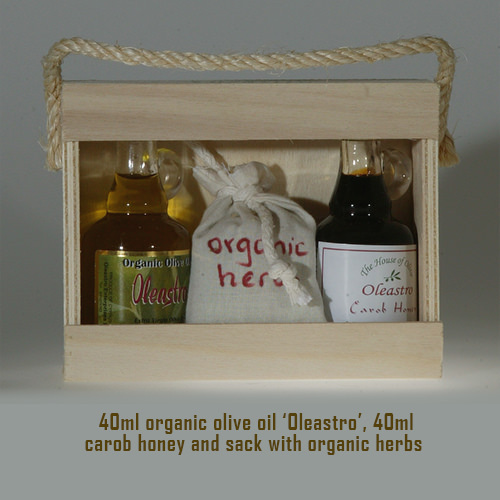 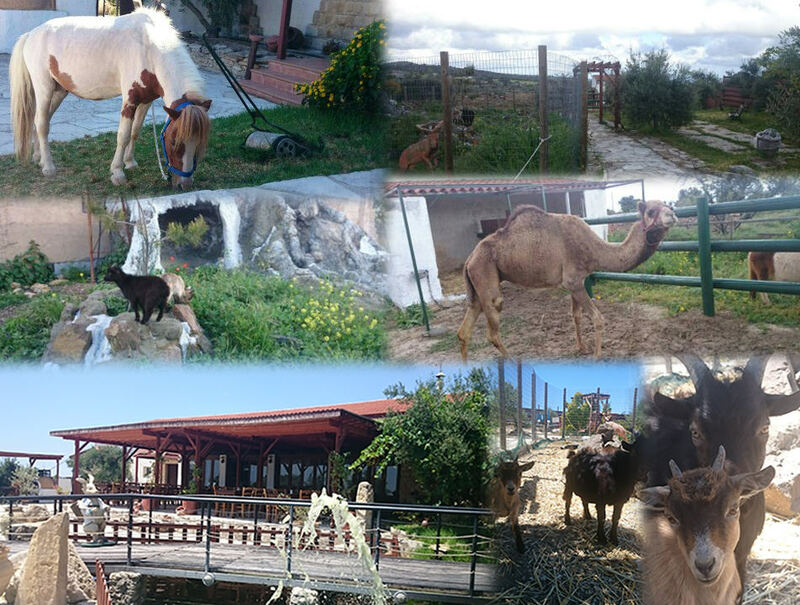 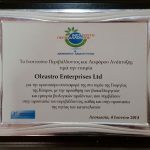 Oleastro Enterprises Ltd was established in 2003 with the vision to promote the civilization of the olive tree in an environmentally friendly way. 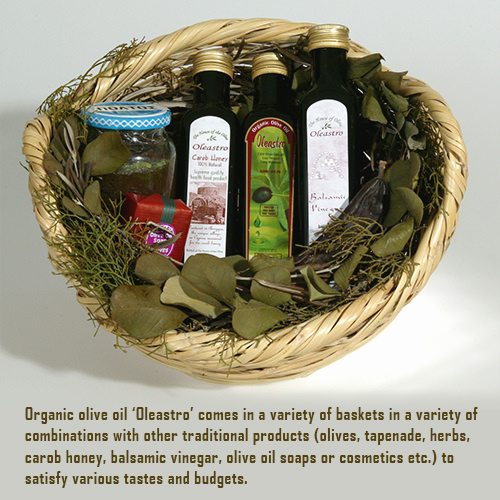 Its mission is its uncompromising commitment to top quality olive oil, innovation, diversification, and flexibility. 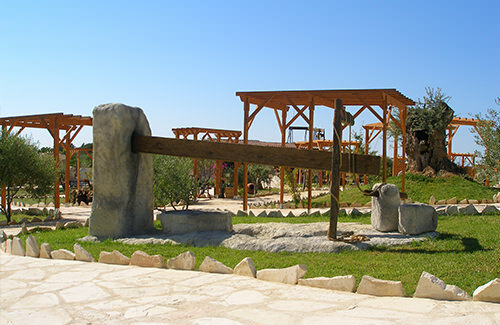 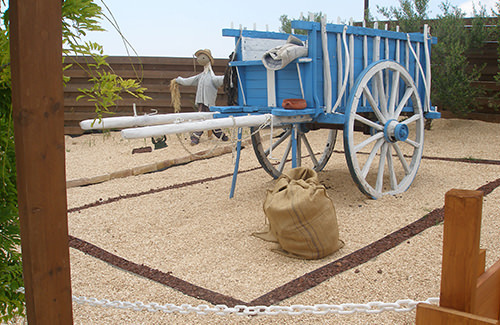 The educational and recreational Olive Park Oleastro features outdoor themes on the olive tree that has healed and nourished Cypriots for thousands of years. 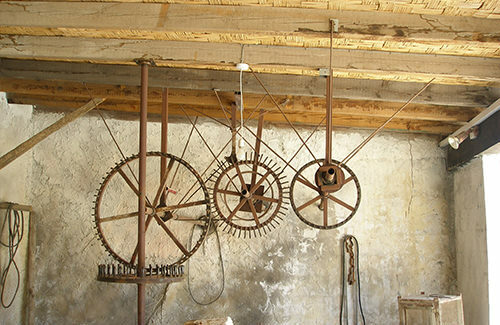 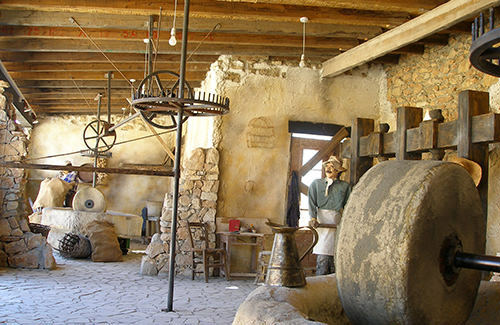 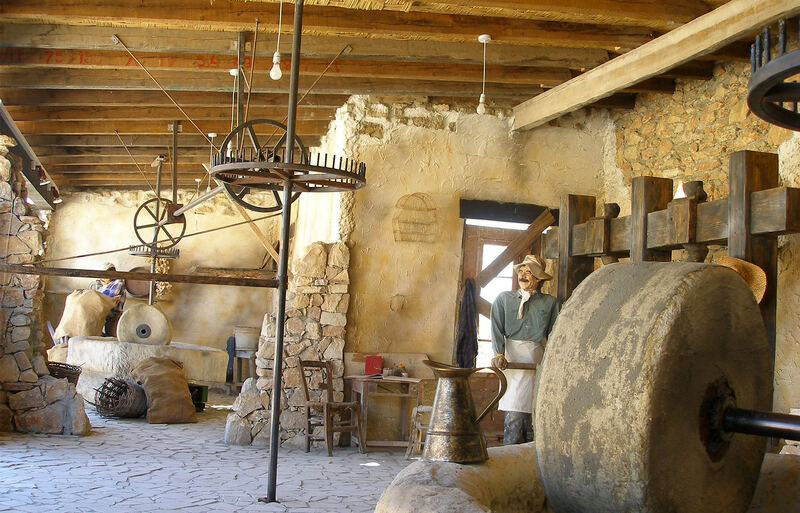 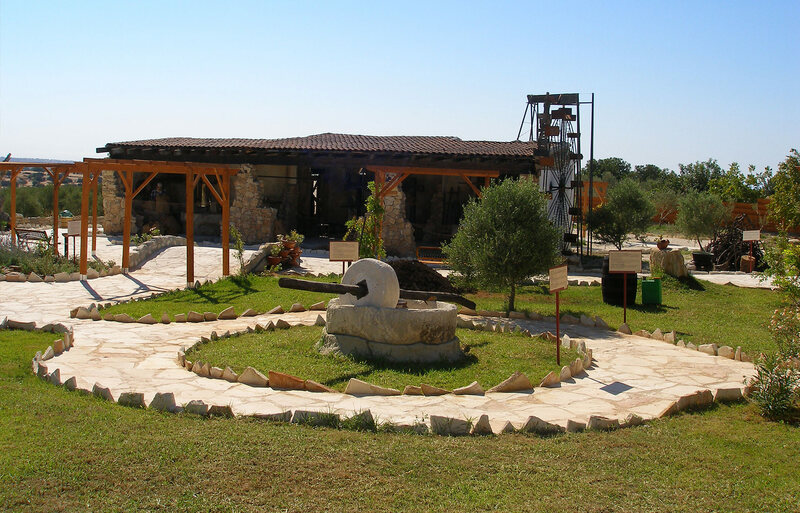 Indoors, it consists of a state-of-the-art ecological olive mill with mill stones, a museum, a restaurant, a store, specializing in olive products, a video room, bottling, and storing facilities. 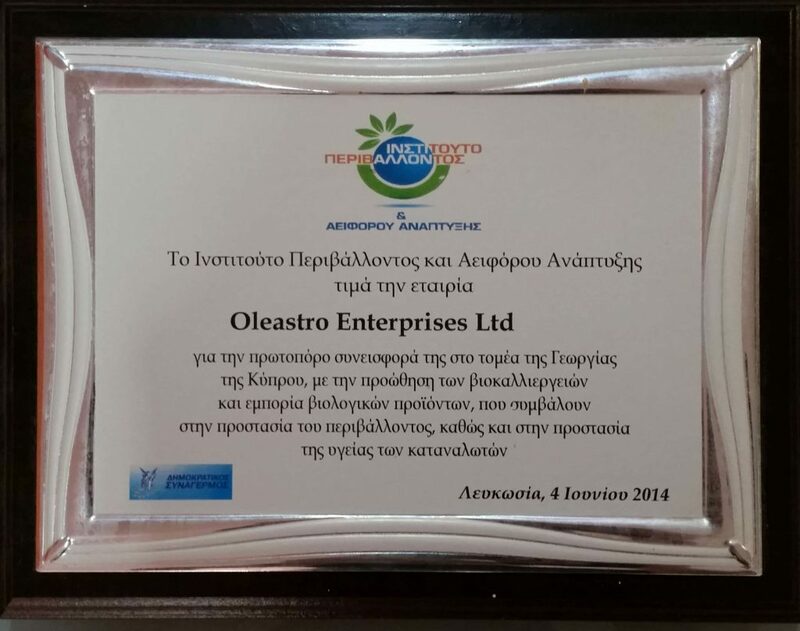 Oleastro Enterprises Ltd. is the brainchild of Andreas and Lina Ellinas with the support of their children Daniel and Natalie. 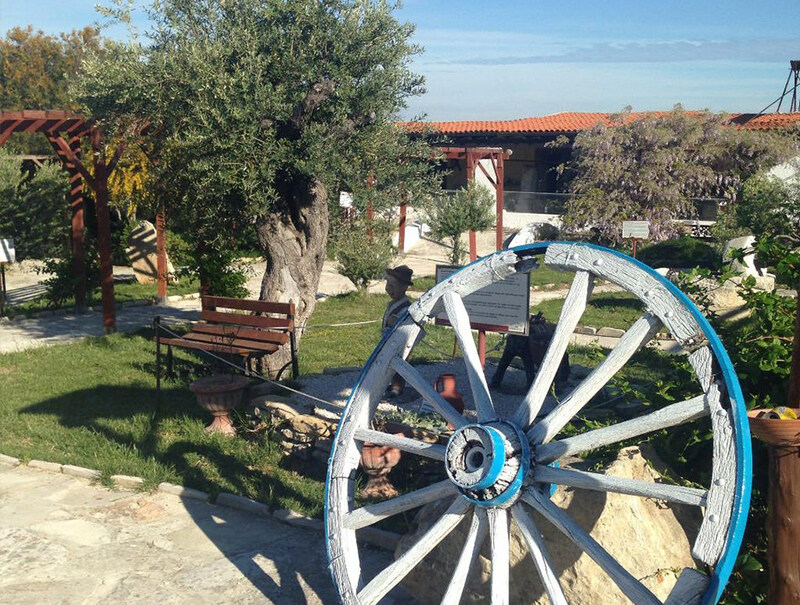 Our friends call us ‘romantic fools’ for our love and devotion to the olive tree, the Mediterranean diet, and the island’s countryside that we consider the ‘heart’ of authentic Cyprus. 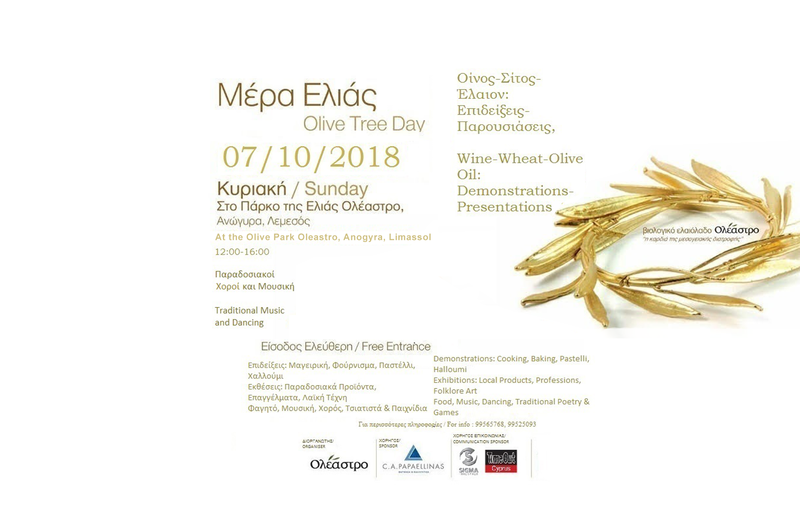 Ideally situated, half way between Pafos and Limassol, gazing the pick of Troodos mountain to the north and overlooking the Episkopi bay to the south, the Olive Park Oleastro is 3 km past the picturesque village of Anogyra, famous for its unspoiled traditional character. 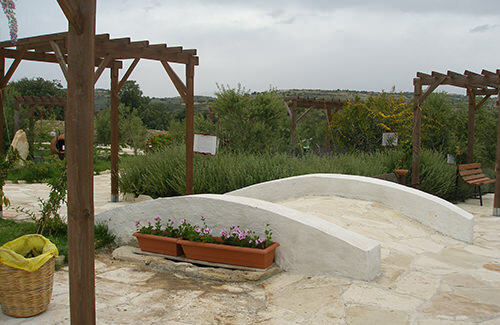 The Olive Park Oleastro is unique, featuring aspects of the 60,000 years of the civilization of the olive, such as extraction methods, farming activities, representations of excavations, the olive tree in painting, professions related to the olive tree, the role of the olives and olive oil in the Mediterranean diet, customs, traditions, history, mythology and much more. 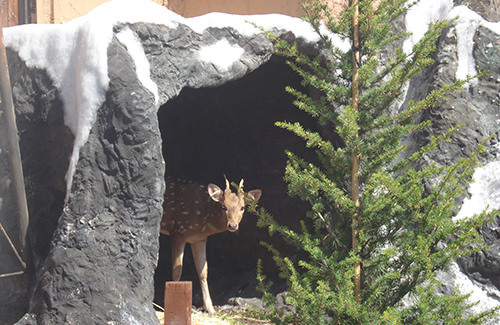 For our younger friends, there is a playground, an artists’ corner, and the park animals. 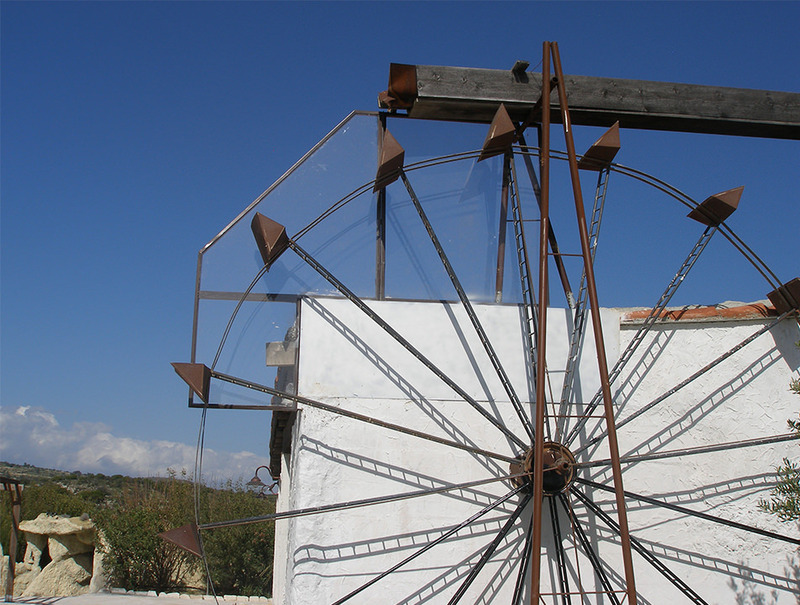 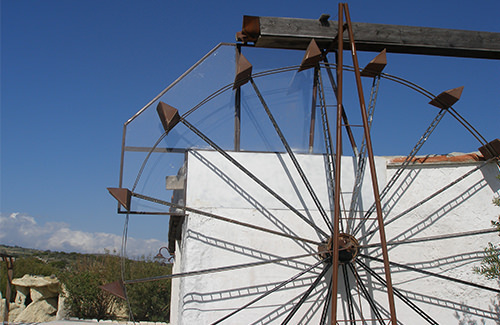 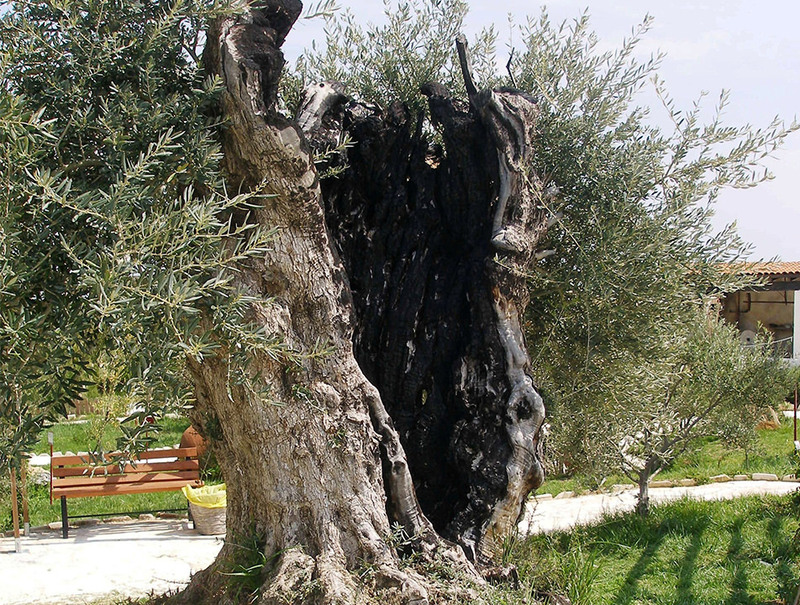 An olive museum, a restaurant, a gift shop specializing in olive products, a visitors’ center, and an ecological olive mill, where people can watch the actual olive oil extraction between mid-October and February, complete the Olive Park. 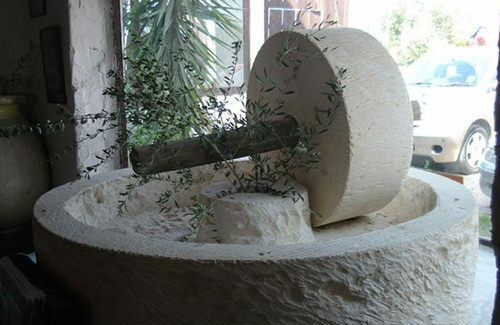 The ecological olive mill applies the latest ‘green’ technology and produces olive oil of the highest possible standard. 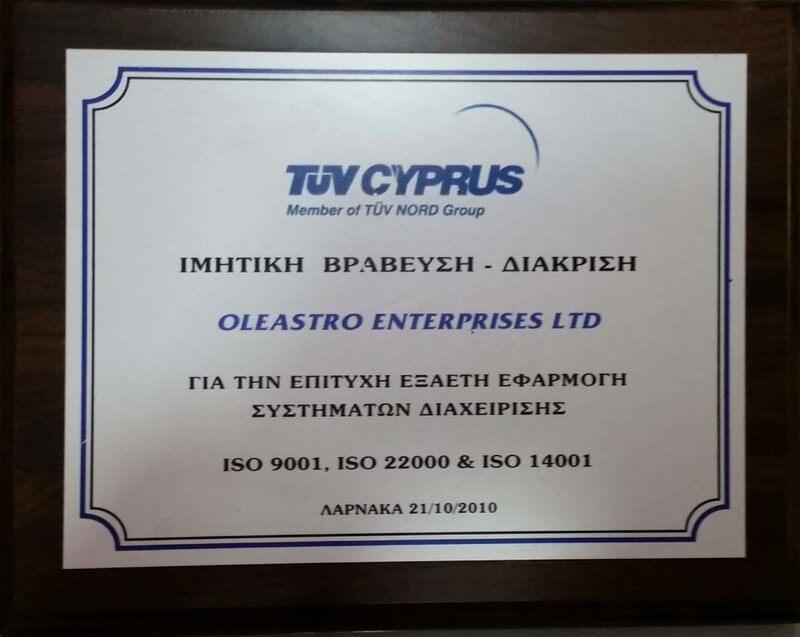 It’s a ‘first’ in Cyprus because it uses cold pressing with millstones, and it’s the only mill certified to the ISO22000 (food safety and hygiene) and ISO9001 (quality) and ISO14001 (environmental protection) standards. 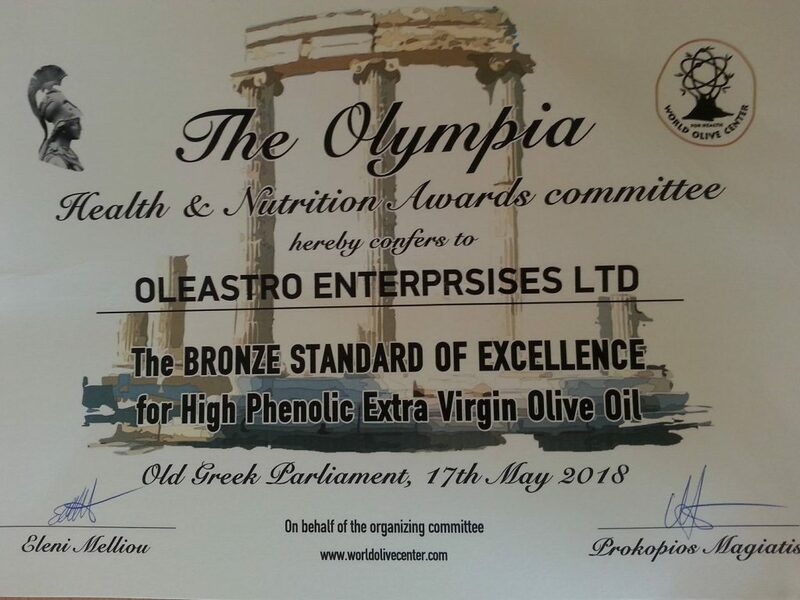 The olive oil produced here maintains fully all its nutritional elements, original flavor, aroma, color, and polyphenols. 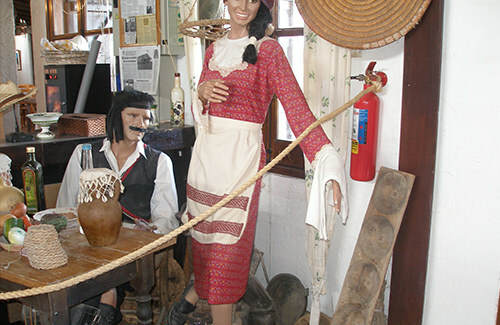 Open: 7 days a week, 10.00-18.00. 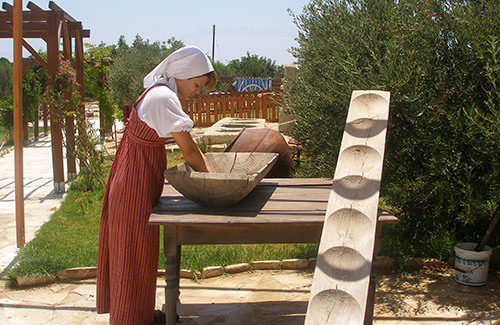 Closed on: Christmas Day, New Year’s Day, and Easter Sunday (Orthodox Easter). 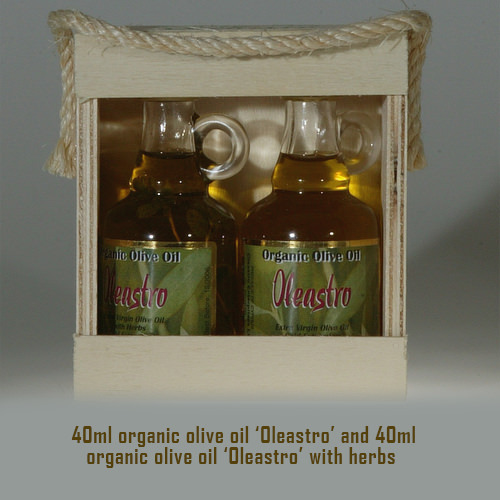 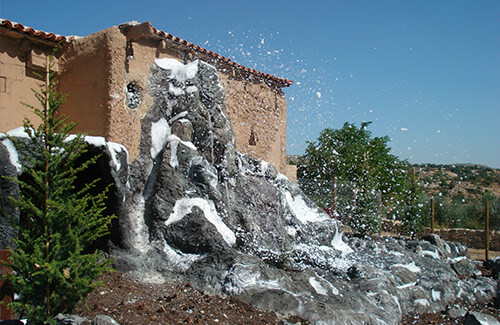 is under the control of one company at all stages (production, extraction, storing, bottling). 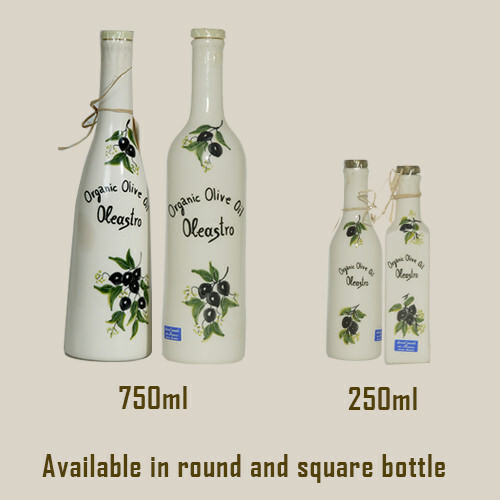 It is produced in our own olive groves with love and care for this blessed tree. 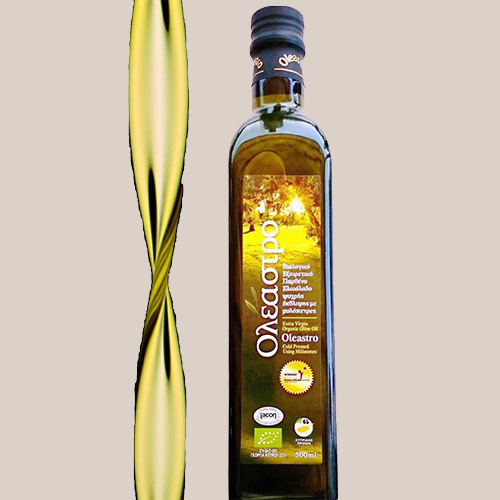 The extraction process takes place on the same day, the only way to ensure high olive oil quality. 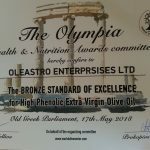 is organic (certified by LACON), extra virgin, cold pressed with millstones, the only way to preserve its polyphenols, its nutritional, and organoleptic (flavor, aroma, color) properties unchanged. 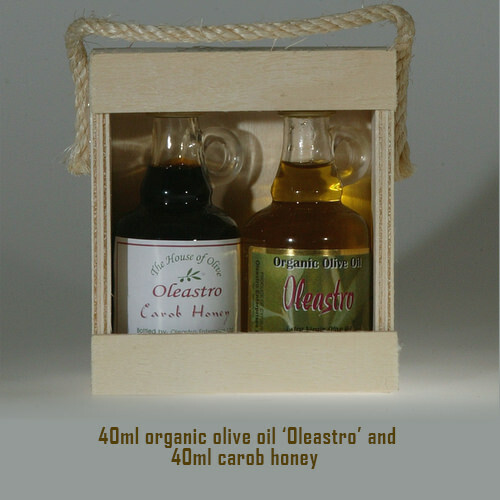 is stored directly into our own stainless steel reservoirs and bottled in our facilities. 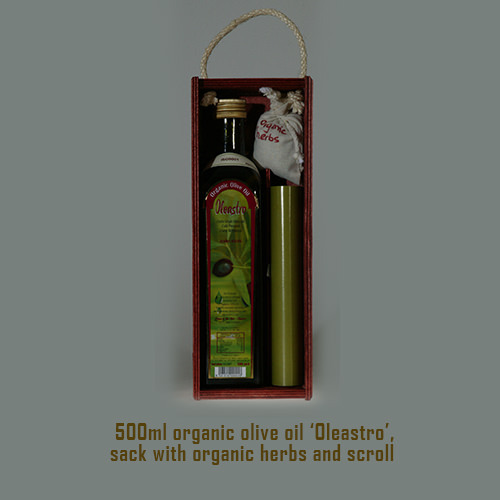 Thus, the olive oil is spared unnecessary transport that has a negative impact on the quality. 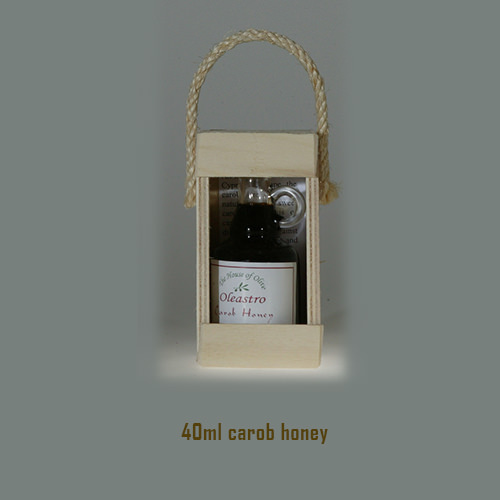 comes in a large presentation variety. 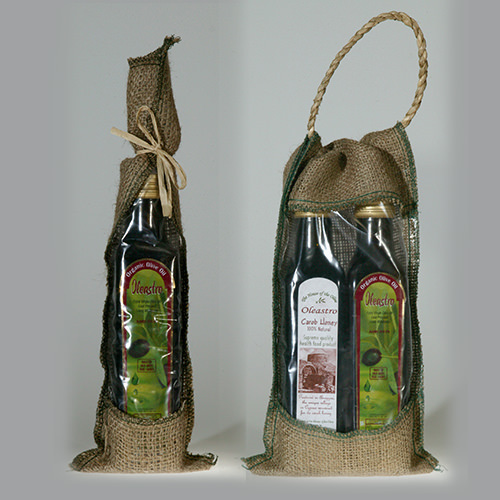 We take pride in being the first company to have upgraded Cyprus’ olive oil from a mere cooking ingredient to an elegant gift idea. 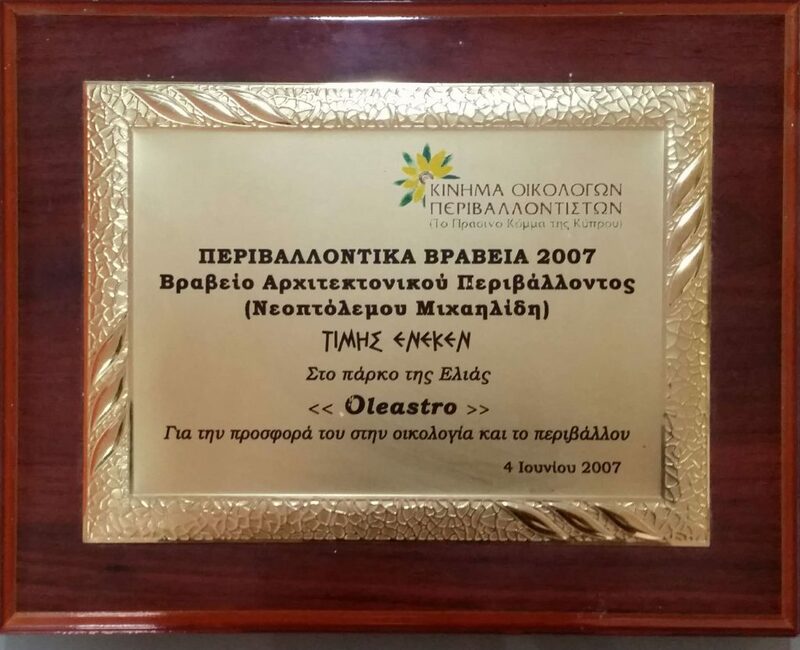 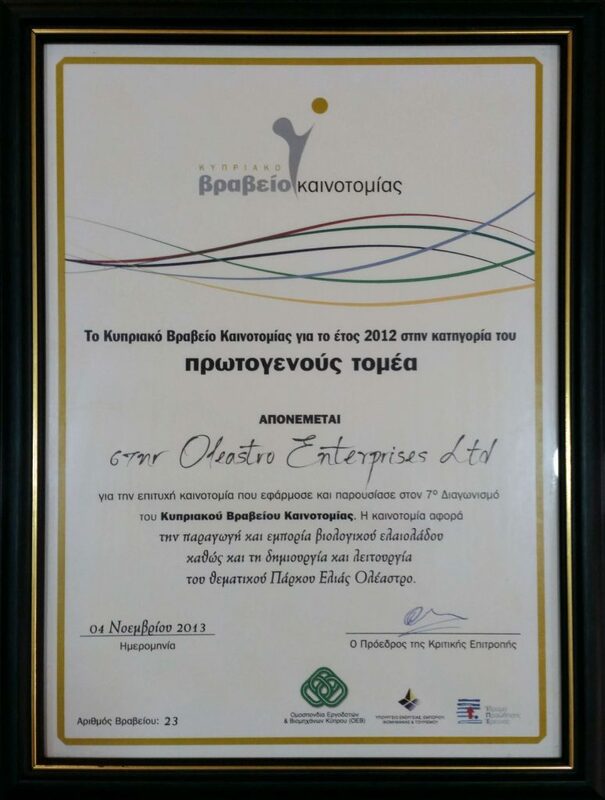 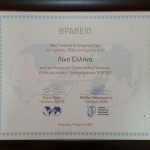 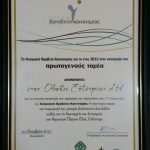 is frequently selected as a representative gift of authentic Cyprus (e.g. 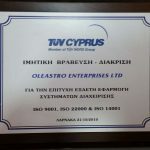 by the Cyprus Tourism Organization, travel agents, and private companies). 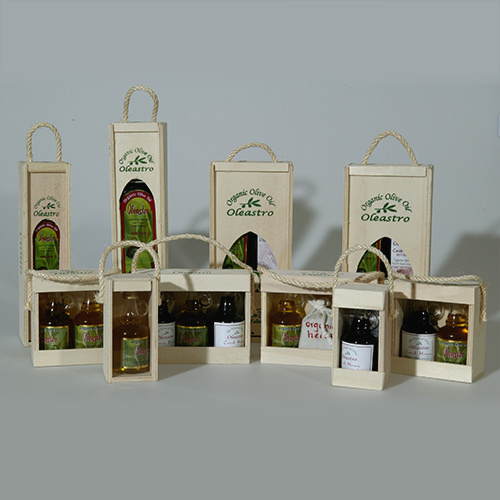 is exported to Germany, Switzerland, China, Armenia, France, USA, and Japan. 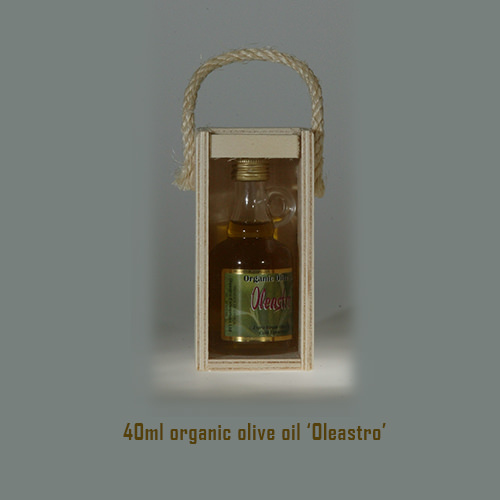 Oleastro © Copyrights 2016 All rights reserved.